I'm absolutely LOVING all of the southwest inspired fashions this fall! We're seeing them everywhere too. 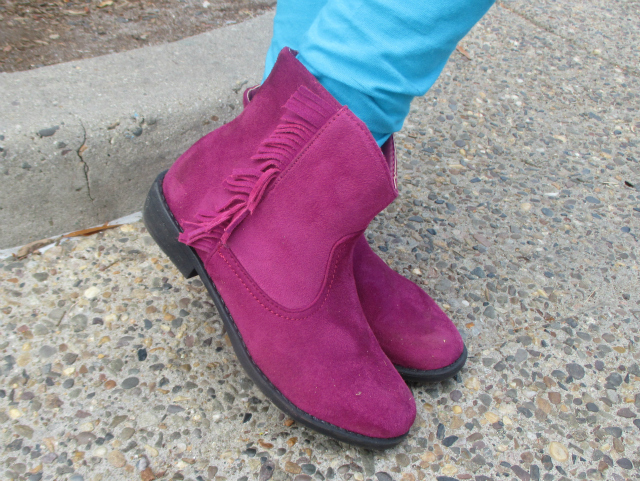 My current favorites are cozy printed ponchos and comfy skinny jeans, paired with a cute pair of fringe booties. In my opinion, all are wardrobe staples this season! My daughter is getting in on the southwest inspired fashion trends too this season! 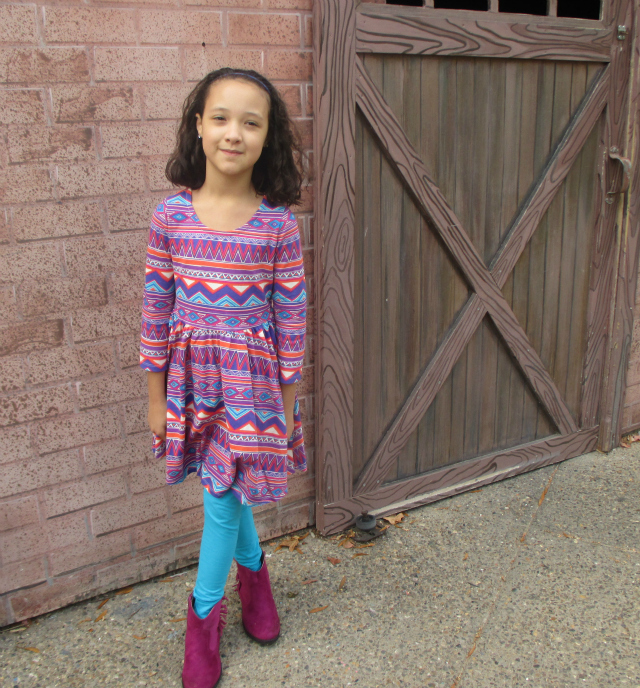 She found this fun printed dress and legging set, along with a great pair of fringe boots at FabKids. Isn't this outfit adorable and perfect for fall? We love the playful patterns and bright pops of color, and the boots are just too cute (pretty amazing price point also)! You can find the featured /pictured looks at www.FabKids.com - be sure to take advantage of the great prices and additional offers, by joining as a VIP member! Disclosure: As a FabKids blogger we received media samples in exchange for our honest opinion. As always, all opinions expressed are our own.